Discussion is central to all our lives. In school, discussion is the foundation for intellectual and personal growth. One of the most useful skills students can learn is how to listen, integrate information, and respond to a range of ideas that they then use to formulate their own ideas and beliefs. By engaging in informed dialogue and by exchanging ideas with others, students learn an invaluable social, academic, and vocational skill. Despite its enormous potential as a teaching and learning strategy, discussion can also be very fragile. No strategy is more involving, yet none suffers as much from students who choose not to participate. 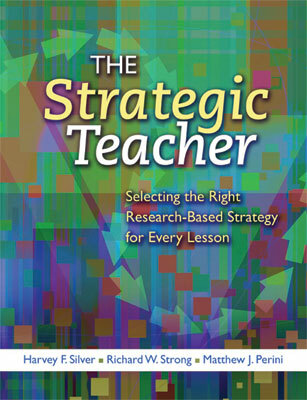 No strategy is more likely to lead students to new insights, yet none can so easily be sidetracked by trivial details. Clearly, learning how to conduct an effective discussion is an essential skill in any teacher's repertoire. Circle of Knowledge (and its more text-based cousin, Socratic Seminar) provides teachers with a strategic framework for planning and conducting discussions in any classroom—discussions marked by high levels of participation, a clear and content-driven focus, and active, in-depth thinking on the part of students. High school math teacher Eileen Cho thinks too many math classrooms run through critical concepts too quickly. With so many concepts coming one on top of the next, students never get an opportunity to explore the core ideas of the discipline or get the "big picture." In my experience, this isolation of ideas—this failure to let students enter into the rich and provocative issues and questions that drive the discipline of mathematics— is one of the main reasons that so many students "turn off" math and end up leaving high school with negative impressions of our subject. In response, Eileen has structured her classroom not only around learning key algorithms and procedures, but also around focused discussions on big ideas in math. Currently, it is the second week of school. Students have already learned about the foundations of geometry and developed a set of visual and linguistic notes outlining the key concepts of the discipline: point, plane, line, line segment, ray, angle, and so on. A typical entry in a student's notebook looks like the entry shown in Figure 18.1. Armed with this background information, Eileen feels her students are ready to engage in one of these "big idea" discussions. She introduces Circle of Knowledge by saying, "I'd like to spark our discussion by posing a simple but very deep question: How do you know when something is real? Take a few minutes and jot down some ideas in your Learning Logs." After students have written their initial thoughts, Eileen breaks the class up into groups of four. Each group of four students exchanges and compares ideas, and then Eileen has students share their ideas with the class. During the excerpt that follows (and the entire discussion), Eileen ensures a high level of participation by using a variety of recognition techniques. She calls on students randomly, asks for volunteers, redirects questions to other students, surveys the class, and lets students direct questions to one another. Eileen: OK, so who has an idea? Stephan? Stephan: Well, I think you know something is real if you can see it. Eileen: OK, I see a lot of hands that just went up when you said that, so I'm going to check in with someone else. Casey, why did what Stephan said make you so adamant? Casey: Because there are lots of things you can see that aren't real. Like in the movies. With special effects, you can "see" dinosaurs and dragons and spaceships and. … Do you see what I'm saying, Stephan? Stephan: Well, I mean, I guess. … Yeah, you're right. What I mean is if you can sense it, if you can see it and touch it and smell it, then it's real. Eileen: OK, so then can we agree that one way we know something's real is through our senses? Good. Who has another idea? Tonia? Tonia: Well, I agree that senses are one way to find out if something's real, but not the only way. I don't know, but to me, something's only really real if you can … how do I say this? If you can feel it. Like happiness or sadness … or love. If you can feel it in your heart, then it's real. The discussion continues for a few more minutes before Eileen decides to sharpen the focus of the lesson. "Believe it or not," she tells students, "some of the world's great thinkers have been wrestling with the question of what's real for thousands of years. Especially in geometry, where the question has been taken up by the Greek philosopher Plato and Albert Einstein, among others." Eileen distributes to her students three brief readings on the question of whether geometry is real: one taken from Plato's Republic arguing that geometric figures are ideal forms that exist only in our minds; one taken from a speech by Albert Einstein claiming that geometry happened by human discovery; and one laying out the "mirror" argument, which claims that geometry simply reflects what we see in nature (e.g., the line of the horizon becomes the geometric line). Eileen poses the focusing question—"How do each of these three positions contribute to (or conflict with) your understanding of geometry? "—and then gives students a few minutes to read, make notes, and prepare for the next round of discussion. During this phase of the discussion, Eileen again encourages student participation by using a variety of recognition techniques. The feedback Eileen provides to students is similarly varied: Sometimes she is silent; sometimes she corrects responses; sometimes she requests clarification or asks students to expand on their initial ideas. Throughout the discussion, Eileen records responses and asks students to summarize what has been said thus far. There is no simple agreement about whether geometry is real. One theory argues that geometry reflects nature. Plato claims geometric figures are ideal forms in our minds. Einstein believes geometry happened by discovery, and could have been very different if the shortest space between two places were a curved line. Most of us had no idea that this topic was up for debate. For homework, Eileen assigns a closing task: Students have to select the position that is closest to their own position and defend it against the other two. Circle of Knowledge provides teachers with a framework for designing and conducting discussions that consistently meet these criteria. The framework rests on a set of techniques, or "moves" teachers can make during any discussion to raise the level of participation, focus, and thought. Allow students to test and share ideas in small groups. Practice may not make perfect performance, but it nearly always makes for better performance. If we are going to ask students to participate in class, it seems only fair to let them practice first. After posing an open-ended question, encourage students to share and compare their answers with a neighbor or a small group. Keep small-group work focused by giving groups a specific task to accomplish: "Talk with the people at your table, and make a list of how your responses are similar and different." Volunteering (raised hands) should be used when the question is difficult and you don't want to put a particular student on the spot. Random calling (teacher selects a student to respond) should be used when you want all students to know that they are expected to have an answer; when you know through observation that a particular student has something to offer; when you want to keep a record to make sure that everyone has a chance to say something. Student calling (one student addresses a question to another) should be used when you want to increase interaction among students; when you want students to stop talking to you and start speaking to each other. Round robin (every student has a turn to talk) should be used when you want students to know that they will have an opportunity and a responsibility to speak; it is especially useful when your students may feel tense about sharing. Surveying (everyone shares a response at once through raised hands or other signs) and sampling (you ask the same question of a number of students in turn to get a sample of students' responses) should be used when you want your students to see where their classmates stand on a particular issue. Redirection (you redirect a student's question to another student or to the group as a whole) should be used when you want your students to explore a student-raised proposition that moves the discussion forward and keeps it on track. The important thing about this list is its variety. Restricting a discussion to volunteers or to students you have selected is like restricting a painter to a single color. By using a variety of recognition techniques in a discussion, you can move from mere question-and-answer drills to genuine conversations. Use a variety of techniques to help students pull their ideas together. Frequently students flounder in discussion because they have not pulled their many thoughts together into a cohesive answer or position. Giving them paper and asking them to jot down some notes to themselves, to draw a sketch that illustrates their answer, or, for the very young, to scribble what comes to mind when they hear the question are ways to get students to focus their thinking in response to the question. Record responses and summarize frequently. Because a discussion is made up of the contributions of many, its structure is often hard to see. To establish and maintain focus, you need to record, clarify, and summarize what has been said. To record a discussion, jot down students' key ideas on the board, an easel, or an overhead projector. Draw lines between statements to suggest relationships based on agreement or disagreement. Recording slows the pace of discussion. This is sometimes a plus because it gives students more time to think. On the other hand, if recording seems to be hindering the excitement of a discussion, wait a while before recording, and then use the process of recording to review the ground covered. To clarify a discussion, frequently ask students to restate what previous speakers have said. To summarize a discussion, stop every five minutes or so and ask students to paraphrase the ideas that are on the table. If students have trouble summarizing, help them by asking a question such as "Do I hear you saying … ?" After soliciting several summaries, help your students combine these into a group summary. Encourage your students to stop and think about the question. Perhaps the most common cause of thoughtless responses in a discussion is student impulsiveness. When students grab at a ready-made answer, their responses will likely be routine, shallow, or unrelated to the question. Thoughtful discussion requires students to stop and think about the question. Teachers can help students slow down and internalize the question by writing the question on the board, asking students to repeat the question quietly to themselves, and encouraging students to visualize information related to the question or possible answers. Once a question has been posed, your behaviors will give shape to the lesson. Remember that "silence is golden": Students require three to five seconds of wait time to process a question adequately (Rowe, 1978; Stahl, 1994). Use probing questions that ask students to support their answers further to increase the sense of challenge in a discussion, to keep your students on their toes, and to provide practice and guidance in the always difficult skill of looking for proof. Use acceptance to increase the quantity and diversity of students' answers, to help students feel more comfortable about sharing, and to build a pool of responses you can use for later reflection. Use clarification and correction judiciously to increase the precision of students' responses. When you clarify and correct, student answers will tend to be briefer and the discussion will take on more of a question-and-answer or drill session feeling. Finally, use elaboration to encourage students to expand on their ideas and make generalizations that unite the various ideas that have emerged during the discussion. Spark the discussion by posing an open-ended question that hooks students into the material. Allow students time to stop and think about the question. You may also want students to jot down and share responses with a partner or small group before opening the discussion. Sharpen the focus of the discussion by posing a focusing question that highlights the central topic or theme of the discussion. Have students "kindle" their responses by jotting down their initial responses and then sharing and comparing their responses in small groups. Engage the whole class in the discussion. Encourage students to share their ideas, respond to prompts and questions from the teacher or other students, refine their ideas, and evaluate the depth of their understanding. During the discussion, use a variety of recognition techniques to maximize participation and Q-SPACE to shape the discussion. Record students' responses and summarize key content with students. Allow students to reflect on the discussion and their own participation. Synthesize student learning with a task that asks them to apply what they learned during the discussion. Establish the topic and purpose for the discussion. In selecting the content for your lesson, look for topics that are magnets for controversy, are rich with implications, and will stimulate a high degree of student interest. Once you've selected your topic, determine the purpose of the discussion. Do you want students to obtain new knowledge, develop a new perspective, explore connections between contents, tease out hidden information, or empathize with characters or content? A U.S. history teacher who wanted his students to explore the concept of checks and balances asked, "Is there really a balance of power between the three branches of federal government?" A calculus teacher wanted her students to explore the foundations of calculus. After providing a short reading about Isaac Newton, she posed the question, "What does it mean when we say someone invented calculus?" A primary school teacher whose students had just read Susan Meddaugh's Tree of Birds (in which the main character wants to keep a bird he finds in the wild) asked students, "Can people and animals be friends?" Develop a sparking question. In terms of the lesson sequence, sparking questions or activities are asked before focus questions; they are designed to build bridges between the students' prior knowledge and the content to be discussed. Sparking questions also generate interest in the content. You may use a single sparking question or a set to help students make the appropriate connections. In creating sparking questions, you need to think about your students. What do they already know from their own experiences or from what they have already studied? How can you activate that prior experience and bring it to bear on the lesson? Here are the sparking questions developed by the three teachers mentioned in Step 2. Checks and balances lesson—What First Amendment rights are especially important to you? How are all three branches involved in protecting those rights? Origins of calculus lesson—What inventions can you think of that completely changed the world? Tree of Birds lesson—Have you ever had a pet or animal that you were very close to? What kinds of feelings do people have for pets and animals? Develop a kindling activity. The teaching process known as kindling helps get the "fire" of discussion burning. Kindling consists of three steps. In the first step, students internalize the focus question and generate their initial response. For the planning phase, you need to consider how students will record their responses. Will they write responses, sketch ideas, or make notes? The second step of kindling involves breaking students into pairs or small groups to complete a brief task and discuss ideas. Small-group discussion gives students an opportunity to test their thinking and evaluate the cohesiveness of their ideas. Planning for this step means creating a simple task that will help students prepare for the discussion. Possibilities include sharing ideas and answering questions, formulating positions, creating visual organizers, and comparing and contrasting group members' ideas. The third step entails returning to the large-group discussion. For this step you need to plan how you will record what students say. Recording responses, drawing lines to show agreement or disagreement, and highlighting by circling or underlining key points are some of the ways you can help students keep track of what has been said so that their energy is not spent trying to remember the points they should be discussing or challenging. An important variation on Circle of Knowledge is the Socratic Seminar (Adler, 1982). The strategy is based on the teaching techniques of the Greek philosopher Socrates, who posed provocative questions to his students but did not answer them. Instead, Socrates allowed rich, student-based discussions to unfold. The underlying idea of the Socratic Seminar is that students are responsible for their own learning. In a typical Socratic Seminar, discussion is focused around a text or set of texts that the entire class has already read. Before the seminar, students think carefully about the reading(s) and form preliminary ideas based on a set of questions provided by the teacher. During the seminar, the classroom is arranged in a circle so that all participants can see and address one another as equals. Although the teacher poses thought-provoking questions that call for discussion and divergent thinking, it is important to emphasize that students are talking to each other and not to the teacher. Usually, the seminar culminates in an essay. Assign a reading or thematically linked group of readings. Ask students to take notes that will help them understand and talk about the central issues in their reading(s). Jolene is conducting an interdisciplinary lesson about the struggle for literacy on the part of enslaved African Americans. For the seminar, she chooses three readings: a selection from Booker T. Washington's autobiography, an autobiographical selection by Frederick Douglass, and Frances Ellen Watkins Harper's poem "Learning to Read." To help students organize their notes and prepare for the seminar, Jolene asks them to focus their attention on why literacy was so important to the authors and what obstacles faced enslaved persons who wanted to learn how to read. Share the criteria for the seminar with students before they begin. Jolene and her students discuss the four criteria for thoughtful seminars: preparation, comprehension of content, participation, and use of evidence. Arrange the classroom in a circle, and begin the seminar by posing a sparking question. Jolene begins the seminar by asking, "Why was learning to read so important to enslaved persons?" Allow students to exchange their ideas about the question. Students do not need to raise their hands to respond; the only rules are that they must allow each other to speak, must show respect to all speakers' ideas, and must use evidence from the text whenever they make claims. Jolene sits in the circle and becomes a participant. She reminds students that they are conducting the discussion and steps in as a teacher only once to help two students resolve a dispute by reminding them of the rules of the seminar. At key points during the seminar, when Jolene would normally intervene, she lets the students work it out themselves. At first, this is as awkward for Jolene as it is for students, but after a few minutes the message is clearly received by students: They are responsible for what happens during the seminar. Use a few focusing questions throughout the seminar to keep the discussion close to the central issues. Pose a closing question to synthesize the discussion. As she participates, Jolene periodically poses a new focusing question. For today's seminar, she asks three focusing questions: the opening question plus two more (What were the attitudes of slave owners toward their slaves' literacy? What were the obstacles facing enslaved persons who wanted to learn to read?). Just before the end of the discussion, Jolene poses the closing question: How did the enslaved persons overcome the obstacles they encountered in learning to read? Present the final task and discuss the criteria for success. Jolene wants students to reflect on the seminar and then to develop an essay discussing the struggle for literacy among enslaved African Americans, noting similarities and differences among the three readings. Before students begin, Jolene reviews the criteria for success with her students. The essay demonstrates a thorough understanding of all three selections. The essay is based on evidence from the selections. The essay is specific, detailed, and comprehensive. The organization of the essay is logical, coherent, and easily discernible. The language of the essay is interpretive and communicates information and ideas effectively. The essay demonstrates a command of the conventions of standard written English. Copyright © 2007 by Thoughtful Education Press. All rights reserved. No part of this publication—including the drawings, graphs, illustrations, or chapters, except for brief quotations in critical reviews or articles—may be reproduced or transmitted in any form or by any means, electronic or mechanical, including photocopy, recording, or any information storage and retrieval system, without permission from ASCD.